People analytics is simultaneously an extremely old and new phenomenon. When we use data to uncover the workplace behaviors that make people effective, happy, creative, experts, leaders, followers, connectors, early adopters, and so on, we are using people analytics. Thousands of years ago, this data came from everyday observations of the world. By watching their peers interact with other people and react to changing conditions, people were able to make educated guesses about what made them effective and happy. Later, we augmented our senses using surveys and interviews. These methods allowed us to gather responses from thousands of people, establishing new metrics that were a bit more quantitative, but this did not herald any radical change in the way people run companies. Today, people analytics is poised for a revolution, and the catalyst is the explosion of hard data about our behavior at work, drawn from a wide variety of sources. Digital traces of activity from email records, web browsing behavior, instant messaging, and all the other IT systems we use give us incredibly detailed data on how people work. Who communicates with whom? How is IT tool usage related to productivity? Are there work styles that aren’t well-supported by current technology? Although this data can provide amazing insights, it’s only the digital part of the story. Data on the physical world is also expanding at a breakneck pace thanks to the rapid development of wearable sensing technology. These sensors, from company ID badges to cell phones to environmental sensors, provide reams of fine-grained data on interaction patterns, speaking patterns, motion, and location, among other things. Because most communication and collaboration happens face to face, this data is critical for people analytics to take that next leap forward and become a transformative organizational tool. By combining precise data from both real and virtual worlds, we can now understand behavior at a previously unimaginable scale. Through my work with colleagues in the Media Lab’s Human Dynamics group, we’ve developed a compelling set of case studies illuminating a new kind of people analytics. In particular, we’ve seen how slight changes in behavior–from changing when you take breaks to what lunch tables you sit at–can make you happier, healthier, and more productive. Our work shows how people analytics transforms our understanding of socialization in the workplace, the impact of office layout, and even concepts as “soft” as creativity. Looking to the future, we can use this knowledge to create fundamentally new ways of organizing people that will radically improve the way we work. Office layouts that respond to social context and real-time feedback on communication patterns and interaction styles are new levers enabled by people analytics that no one could have imagined. The years ahead will offer many new opportunities for people analytics that cannot possibly be anticipated. My new book, not coincidentally titled People Analytics, explores some of those limitless possibilities, their foundations in history, and some paths to the future. Ben Waber is a visiting scientist at the MIT Media Lab, where he received his PhD. He is president and CEO of Sociometric Solutions, a management services firm that uses social sensing technology. His work centers around using real-time data flows to rethink management of people, physical architecture, corporate planning, and training, among other things. He is the author of People Analytics: How Social Sensing Technology Will Transform Business and What It Tells Us about the Future of Work. The academic year is reaching its end, but the Media Lab Conversations series is still full-speed ahead. Our two upcoming events are open to the public; please join us here at the Lab for what promise to be serious and thoughtful discussions. If you can't attend in person, you can participate via webcast and on Twitter with hashtag #MLTalks. 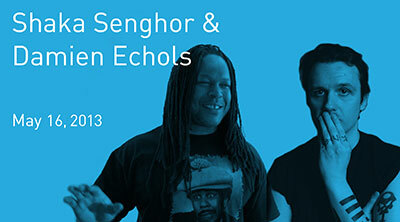 On May 16, in collaboration with the Boston Book Festival, we welcome Media Lab Director’s Fellow Shaka Senghor, who will be in conversation with Damien Echols. Their conversation will be moderated by Bob Oakes, host of 90.9 WBUR's Morning Edition. A compelling writer and speaker, Shaka Senghor’s story—which includes 19 years in prison—has become a tale of redemption and atonement. Damien Echols spent 19 years on death row after his murder conviction as one of the West Memphis Three. After his release in 2012, Echols wrote his memoir, Life After Death. This event is ticketed, with a portion of the proceeds going to support the Prison Book Program. More information about tickets is available. 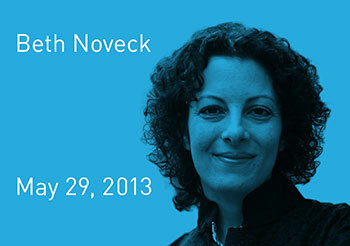 On May 29, we welcome Beth Noveck. Professor Noveck’s work focuses on scholarship, activism, and teaching on the future of democracy in the 21st century. Specifically, her work addresses how we can use technology to create more open and collaborative government. With a grant awarded to New York Law School from the John D. and Catherine T. MacArthur Foundation, she is collaborating with colleagues to create a research network on the impact of technology on democratic institutions. She’ll discuss these and other topics with Media Lab Director Joi Ito.